^ Laporan Kiraan Permulaan 2010. Jabatan Perangkaan Malaysia: 27. [24 January 2011]. 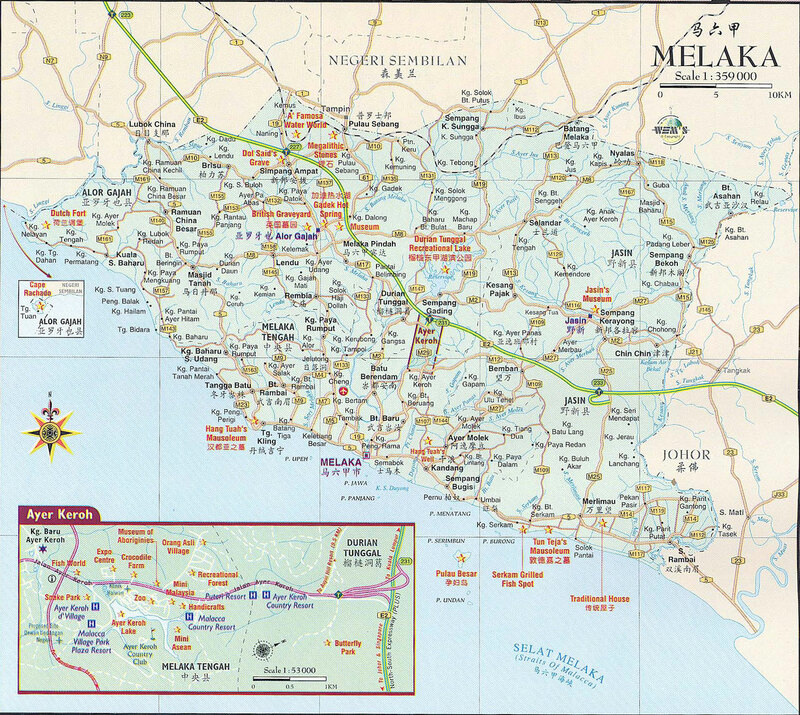 ^ Making Melaka Liveable, Resilient, And Future-Proof. Star2.com. 2018-07-05 [2019-01-12] （美国英语）. ^ Melaka Maju 2010. pmr.penerangan.gov.my. [2019-01-12]. ^ Rakyat iktiraf Melaka Maju 2010. Utusan Online. [2019-01-12]. ^ Malacca. Wikipedia. 2019-01-01 （英语）. ^ Harian, Sinar. Edisi. Sinarharian. 2018-12-26 [2019-01-12] （马来语）. ^ Best Destinations in Malaysia - Travellers' Choice Awards - TripAdvisor. www.tripadvisor.com.my. [2019-01-12] （英语）. ^ PressReader.com - Connecting People Through News. www.pressreader.com. [2019-01-12]. ^ Lim, John. Waze Says This Historic City Is The Best Place To Drive In Malaysia. SAYS.com. 2016-09-15 [2019-01-12] （英语）. ^ 15 of the Best Street Art Cities -- an Alternative List. HuffPost. 2016-03-17 [2019-01-12] （英语）. ^ 4 Under-the-Radar Countries Where You Can Retire for Cheap. Money. [2019-01-12] （英语）. ^ kamarul. MBMB MUO With Twin Cities. Official Portal of Melaka Historic City Council (MBMB). 2016-05-11 [2019-01-12] （马来语）. ^ Jakarta's ‘Kota Tua’ and Melaka are now sister cities | Jakarta Post Travel. web.archive.org. 2014-02-06 [2019-01-12]. ^ Guangdong & Malacca sign sister relationship memo_Guangdong_www.newsgd.com. web.archive.org. 2015-09-25 [2019-01-12].